It seems strange to think we’ve only had the Downton craze for 5 years. 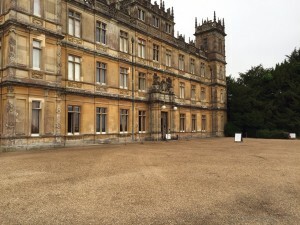 It first graced our screens at the end of September 2010 and since then the instantly recognisable exterior of Highclere Castle has been attributed to all that is Downton. The estate dates back centuries, with Lord and Lady Carnarvon and family carrying on the house’s role as a family home as well as a fascinating day out. The connection between past and present is highlighted by Lady Carnarvon’s books on the previous holders of the title. Downton fans will be pleasantly surprised to find a few parallels between fiction and reality, with Highclere taking on a wartime hospital role and absorbing an American heiress into its ranks. Highclere Castle is located in West Berkshire just south of Newbury, many miles from the fictional setting of the Yorkshire estate of Downton Abbey. Since 2010 Highclere Castle has, not unexpectedly, seen a dramatic increase in visitors. It’s a fantastic day out, I was able to visit here earlier this Summer and, even though all days are booked out, the organisation by the staff make sure it doesn’t feel that way. The estate is only open for set times each year and tickets sell out fast, keep an eye out at highclerecastle.co.uk to see when they become available. Highclere Castle interiors are used extensively as well as the exterior. It won’t be difficult to recognise as the original furniture is often used for filming. Starting off, the main entrance and Saloon are recognisable as where the Crawley’s entertain guests and have Balls and Christmas gatherings. The tour of the castle then takes you into the Library, Lord Grantham is often seen here at his writing desk or the family relaxing. Continuing on around to the south of the property, the drawing room is seen often as a relaxation room where it is usually the ladies of the house that can be found. Just off of the north west corner of the Saloon is the original servant staircase, where the servants can often be seen emerging from. This does lead down to the basement, but the servants quarters in Downton Abbey are filming on a studio set at Ealing Studios. Finally on the ground floor the Dining Room at the north west of the property is unmistakably used as the dining room and breakfast room where the Crawley’s are often entertaining. Moving upstairs several of the bedrooms were used during the series. The Stanhope room with it’s red interior is used as Lady Mary’s bedroom, and has the rather controversial story line (at least for the early 1900s!) in series 1 involving a Turkish diplomat! The Mercia bedroom is also used as Lady Cora’s bedroom, with the bathroom to the back where O’Brien introduced an unfortunate incident with the soap. The upstairs hallways can also be seen throughout the series as the servants and family go between rooms. Venturing outside of the castle there are extensive grounds to explore. The immediate exteriors can often be seen in establishing shots, and of the vintage cars arriving and departing. The main gates are also seen during the series, incidentally where the main ticket office for Highclere Castle is located. 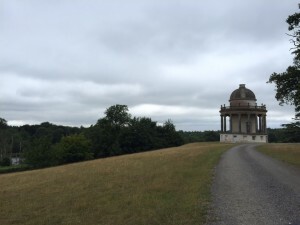 The familiar scene seen at the start of the opening credits where Isis is walking alongside Lord Grantham can be found on the path leading up to the castle from the south east. A bit further afield on the estate you can see the lake where Bates threw his leg adjustment device into just in front of the Temple of Diana, you pass this lake on leaving the castle. Finally in the north west of the estate you can find the cricket pitch used at the end of Series 3 where the house takes on the village cricket team, where Branson takes some convincing to partake. Highclere is one of the few filming locations where you feel truly immersed in the world of Downton Abbey and with the series drawing to a close at the end of this year there’s no better time to explore this fantastic venue. 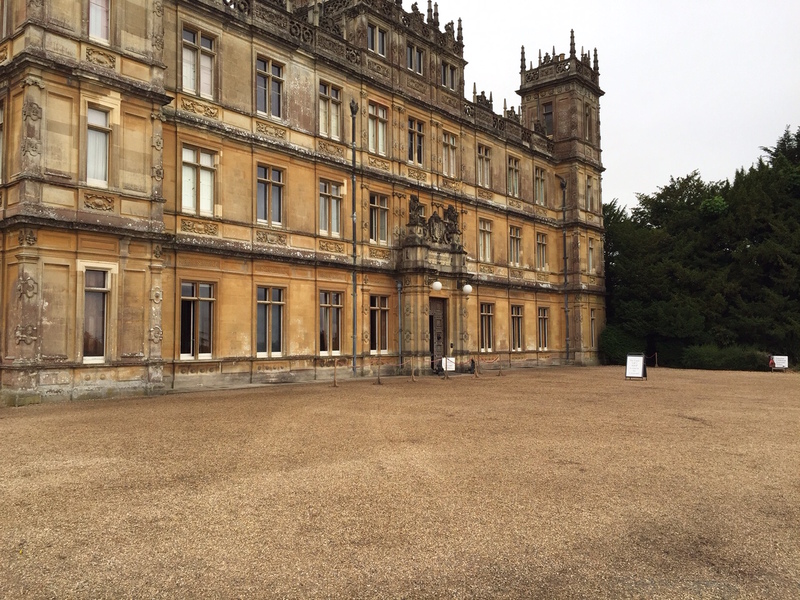 To explore more Downton locations be sure to visit our Downton pages.